Well the Seahawks sure proved me wrong. After I predicted that the Seahawks would barely squeak by with a win, Seattle dominated the Arizona Cardinals on both sides of the ball en route to an impressive 34-22 victory on Thursday night. The Seahawks extend their best start in franchise history as they improve to 6-1 on the season. The Cardinals fall to 3-4 on the season and are currently in last place in the NFC West. Here are the positives and one negative I took out of this week’s game. Wilson Stretches Field and it Pays Off: Going into this game I felt that in order for Russell Wilson to be more effective he needed to throw the ball deeper for large gains. Tonight Wilson did a much better job of this. Wilson found Sidney Rice for a 31-yard touchdown on a beautiful rainbow pass into the endzone. Seven of Wilson’s passes went long for 16 yards or more. On the night Wilson went 18/29 for 235 yards and 3 touchdowns. I think it was the most impressive performance by Russell Wilson so far this season. The zone-read also played perhaps its biggest role by the Seahawks offense in a game so far this season. Wilson’s quarterback keeper runs gained at least 4 yards each and three were converted for first downs. Even with sub-par offensive line play, Wilson did a good job of keeping plays alive. He was the catalyst of what seemed to be a drastically improved offense since playing Tennessee last Sunday. The offense will continue to get healthier and better. With the talent coming back in the coming weeks both on the offensive line and at the skill positions, Wilson will become increasingly dangerous and I am confident the offense will be firing on all cylinders. Lynch Shines: Why does it seem like Marshawn Lynch really likes to go full Beast Mode in primetime? Lynch ran 21 times on Thursday night for 91 yards and a touchdown (he should have had 2 touchdowns but one was ruled down inside the 1-yard line). Lynch ran like a man on a mission. I was really impressed with his ability to shed tacklers and the fact that he was nearly able to put up 100 yards on the 5th best run defense in the NFL. Going forward against easier run defenses, the Seahawks are in a great position to put up big numbers, control the games coming up, and continuing to win games. Lynch is averaging 83 yards per game on the road so far this season and the team is averaging 150.5 rushing yards per game on the road. Like I stated, Lynch has a knack for stepping up in primetime and with our next game also in primetime Lynch could be due for another impressive performance next week. Pass Rush Very Impressive: Want to know how impressive the Seahawks pass rush was on Thursday night? 8 different Seattle defenders recorded at least half of a sack against the Cardinals. That number is the most of any defensive unit against a team so far this season. Of our 4 primary pass rushers Chris Clemons, Cliff Avril, and Michael Bennett each recorded one sack. Bruce Irvin also recorded 4 tackles and had a hit on quarterback Carson Palmer which resulted in an interception. 7 sacks is the most by the Seahawks in a game so far this season as they took advantage of a Cardinals offensive line that not only game up those sacks, but were also ineffective in the running game as Arizona backs Rashard Mendenhall and Andre Ellington, as well as two scrambles by Carson Palmer only ran for 30 yards. It is dominant play by our front seven that allows our defense to get off the field and for the offense to work to put points on the board. I was very impressed by the Seahawks defense being that it was a road game and the Seahawks defense has struggled at times on the road this season. My confidence in our play on the road has never been higher. Bring the Boom: The play of the Legion of Boom Thursday night was nothing short of spectacular. 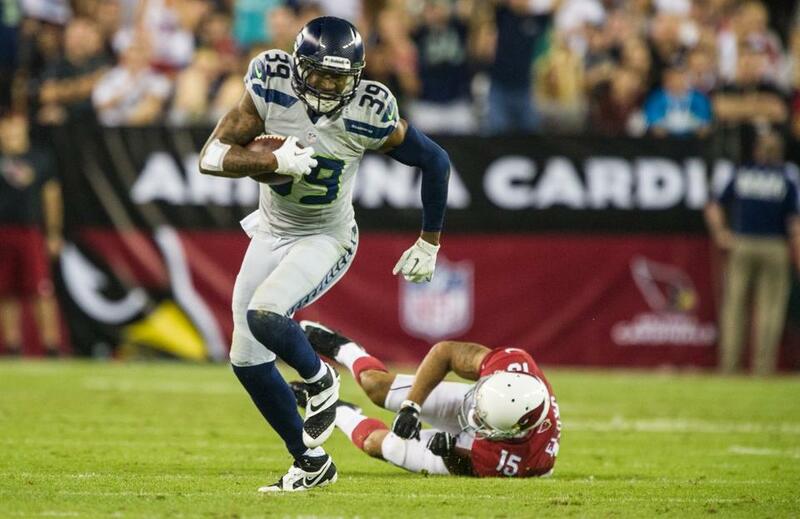 Brandon Browner and Earl Thomas each made interceptions and Richard Sherman nearly had an interception which was smartly batted away by Cardinals receiver Michael Floyd. The Legion of Boom recorded 22 of the Seahawks 60 tackles and also added 7 passes defensed. Carson Palmer came into this game having thrown 11 interceptions in his first 6 games and even though he threw 2 against the Seahawks it could have been a lot worse. The Seahawks seemed more determined to make sure no yards were gained after contact and they helped in creating only a 33% conversion rate on third down for Arizona. After letting long drives continue the past few weeks, the secondary, just like the pass rush, showed significant improvement in stopping those drives. Fumbles Still A Problem: As well as the Seahawks played on Thursday night there is always room for improvement. 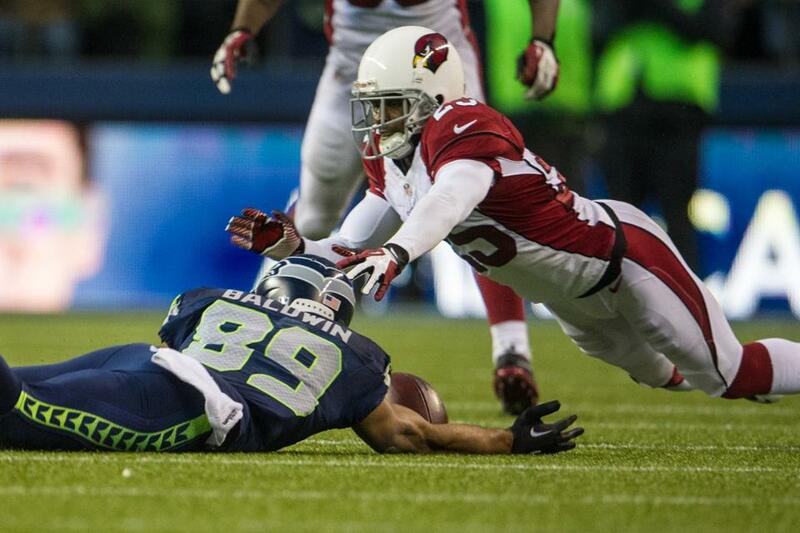 It is evident that the Seahawks offense still has a problem holding onto the ball. Russell Wilson fumbled the ball 3 times, including a combination of ball security and a lack of awareness of what is developing around him. 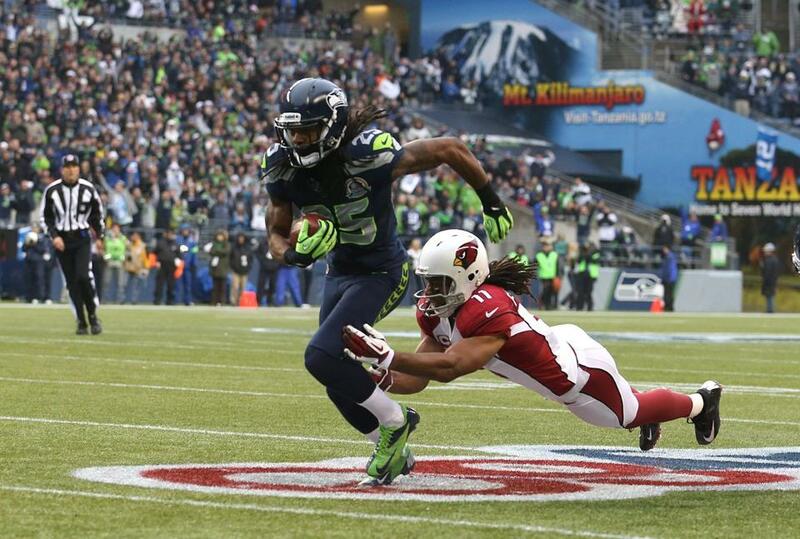 The Seahawks have fumbled the ball 8 times in the past 2 games which is still unacceptable. It is getting to the point where I am hoping the ball carrier just falls down on his own on big plays to prevent the possibility of fumbling the ball. As dangerous as we showed we can be and for all the praise we have received so far following this game, imagine what people would be saying after a game in which the Seahawks played like this and were turnover free. 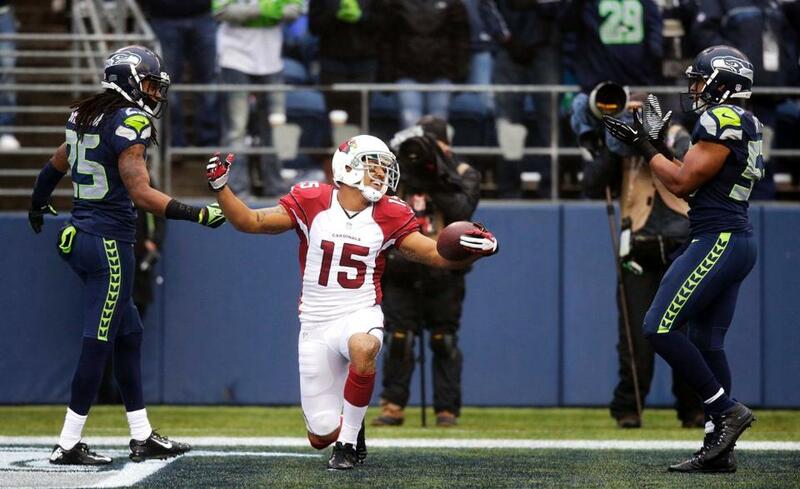 Thoughts on Arizona: The Arizona Cardinals showed potential for the future. Key words: For the future. Carson Palmer is believed to be an upgrade to John Skelton or Kevin Kolb but he played no better than those two guys on Thursday night. If Arizona can build the offense in the next year or two and keep the core members of the defense together, they could contend at that time. I do not see how you can possibly think the Cardinals will contend this season. After the game got away from them in the third quarter there seemed to be no sense of urgency on the field and a lack of belief from the fans in the stadium. The Cardinals were driving to try to make it a one-score game late in the fourth quarter and although they went no-huddle they drove at a speed that could warrant a huddle if needed. In addition, no Arizona fans seemed to care that their team could have made the game closer than the final score showed. Having seen the on-the-field product on the field and to see the incredible presence of the 12th Man after the game on the NFL Network postgame show, I would be quite embarrassed if I was a fan of the Arizona Cardinals. 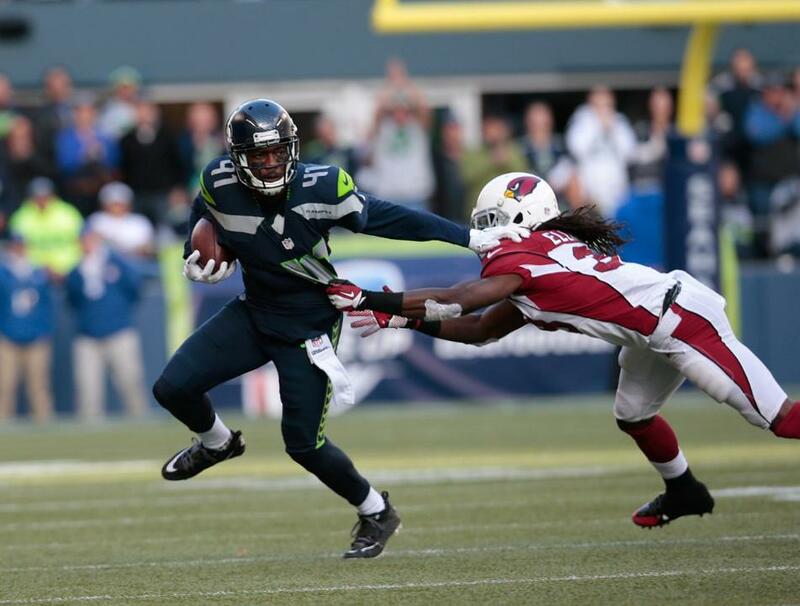 Random Thoughts: For the second time this season the Seahawks broke out the wolf grey jersey’s and pants this week. I may be wrong but I think it is NFL uniform policy that teams can only wear their alternate jersey twice per season. If that is the case, we will be seeing the Seahawks in white for the remainder of their road games… Terry McAulay was the referee on Thursday night… The number of Seahawks fans in Arizona was incredible. My Dad was in attendance and texted me pictures of Glendale throughout the day. It looks like a raging party that will surely carry into the weekend as the Huskies get set to take on Arizona State on Saturday… The shots of the Arizona desert and sunset on the NFL Network broadcast looked amazing. I am big fan of their broadcast production… Russell Wilson was MVP of the game and was presented a bag of gifts by the NFL Network personalities after the game. For those who didn’t see it he was awarded the following gifts: A Leon Sandcastle bobblehead, a Thursday Night Football hat, a Kurt Warner VHS tape, and a Deion Sanders “Prime Time” CD… Oh and they gave Wilson a present intended for Marshawn Lynch; a box of Skittles… It feels so good to be 6-1. If we can get past St. Louis next week to get to 7-1 I may want to make some hefty predictions and/or guarantees. Stay tuned… Speaking of our next game against the Rams it is fun to know that the entire nation will once again get to watch this fun, exciting brand of football the Seahawks are delivering to us… After watching the various postgame shows on television, people are finally starting to believe that we WILL be serious Super Bowl contenders this season. I can’t wait to see how next week unfolds. With our early-week game this week I will take a few days off from the blog. If anything breaking happens (Percy Harvin *cough*) I will hop back on. Until next week’s preview of Monday Night Football against the St. Louis Rams, Go Hawks!